For the most innovative series of vibraphones available on the market today, you need to look no further than Adams. 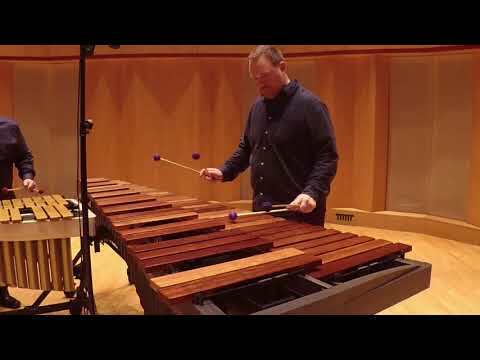 The Adams Alpha Series Vibraphones, with their beautifully stained wood rails and end pieces are manufactured with the highest levels of craftsmanship and quality materials to meet and exceed the demands of today's top vibraphone virtuosos. World class design inside and out is what the Alpha Vibraphone represents. Hand stained solid French Oak rails and end pieces are crowned by a distinctive polished aluminum name plate to announce that this is something special. The height adjustable Voyager frame has been updated with a high arching cross support that disappears behind the sweeping arc of the Alpha resonators to provide a stunning look while providing the perfect soundstage for your audience. Integral cross rails and end caps provide structural integrity while maintaining the smooth flowing lines. VAST30M 3.0 Alpha Series Vibraphone w/Silver Bars F3-F6 60.25" (153cm) 30" (75cm) 16" (40cm) 33.5"-40.5" (85-103cm) 100 lbs.